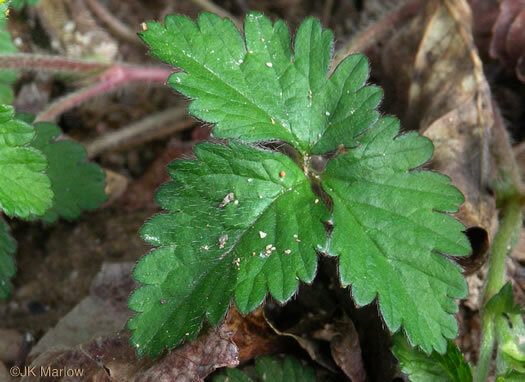 Your search found 5 image(s) of leaves of Fragaria and Potentilla. 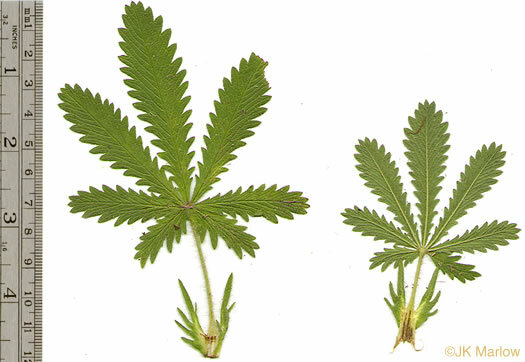 Each leaf has 3 obovate, dentate leaflets, each usually 1-2" long, per Wild Flowers of NC, 1st edition. 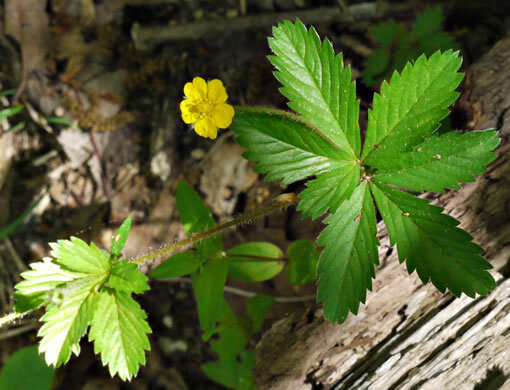 Leaves are more coarsely toothed than Fragaria, per Weakley's Flora. Most leaflets obovate & toothed only above the middle, per Wildflowers of the Southern Mountains. 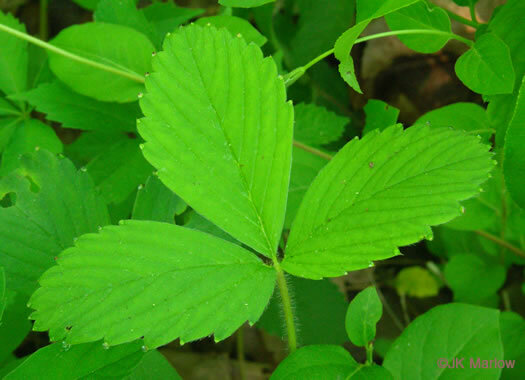 Leaves palmately compound/Leaflet margins coarsely toothed except near base, per Forest Plants of the Southeast and Their Wildlife Uses. 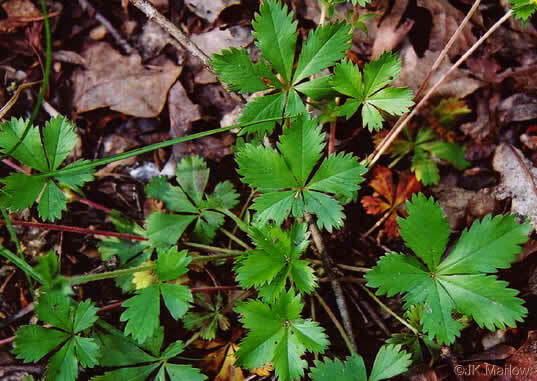 Leaves palmately compound, stipules pectinate [comb-like] to entire, per Vascular Flora of the Carolinas.